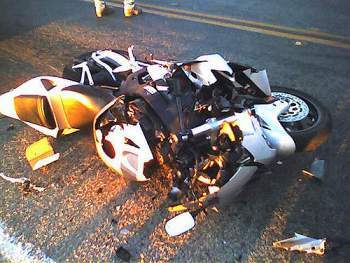 Motorcycle accidents are more severe than motor accidents. These types of accidents are mostly caused by negligent car drivers who have no regards for motorcyclists. A motorcycle accident is eligible for compensation if you are on the right, and can prove that the other road user was negligent. At Rawa Law Group, we offer legal services to motorcyclists interested in hiring the best motorcycle accident attorney to assist with their case.Our over a decade of legal representation has accorded us the respect of residents in and around Compton, CA. We provide affordable and ethical legal representation for claimants in the Compton region of California. Our luminary expertise is targeted at injury victims and we are on record as having some of the finest personal injury lawyers in California. If you or a loved one has been involved in a motorcycle accident and would like the legal expertise of a seasoned motorcycle accident attorney in Compton, be sure to get in touch with us as our law firm has a combined legal experience of over 50 years which means we have seasoned motorcycle accident attorneys ready to help you by taking up your case and fighting aggressively but legally, till you are adequately compensated. Remember, we are more concerned about you and try to help you get compensation for the injuries, pain, trauma you’ve suffered rather than getting paid. If you choose to go with our legal backing, you can rest assured knowing you only get to pay for our services when we have successfully helped you win your case.